Thanks to those of you who were able to join the San Diego Professional Chapter for our 12th Annual Fall Fundraising Event: Foundation for Healthy Communities. This event focused on on how we all can play a fundamental role in building healthy and sustainable communities through collaboration. We had a fantastic panel of speakers on the agenda. We provided an update on our three current projects and we also introduced a project our chapter is in the process of adopting. 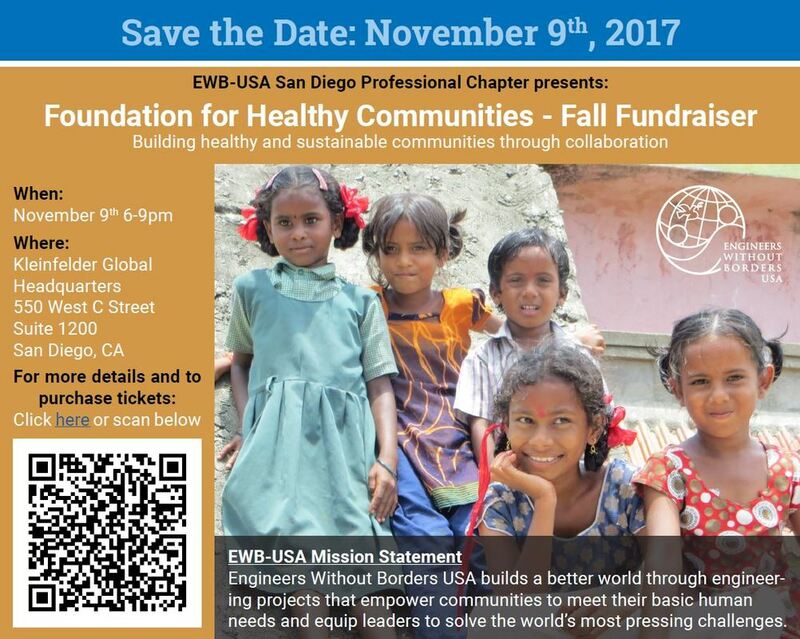 Stop by The Baked Bear in Pacific Beach any time this Sunday and help support the EWB-San Diego Professional Chapter's India Housing Program. All you have to do is show this flyer at checkout and Baked Bear will donate 20% of the proceeds. Enjoying the best ice cream sandwich in San Diego while supporting a great cause - it doesn't get much sweeter than that! 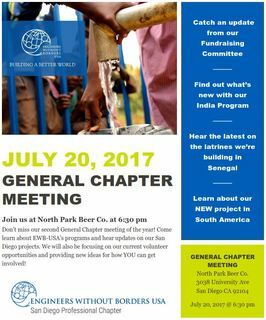 Join us on July 20th at 6:30 pm for our second General Chapter meeting of the year at North Park Brewing Co.
A professional artist led our group on Thursday, June 8th at at Lazy Dog Restaurant & Bar to recreate a painting inspired by EWB El Salvador project photos. It was a fun-filled evening of socializing, listening to music and tasty food and beverages! A portion of every ticket purchased went towards supporting our active projects. 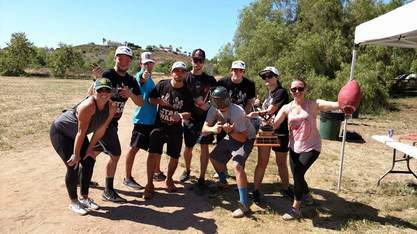 Latitude 33 came out on top, marking their first time taking home the coveted trophy. On March 28th at 6:30 pm we held our first General Chapter meeting of the year at North Park Brewing Co.
We be introducing ways to get involved with the Chapter, and the meeting featured a presentation by Charlie Wyatt, a member of our India team. They've just returned from a trip to India, constructing a prototype of our permanent housing design to guide on-going construction. We recently teamed up with ASCE YMF for a joint social! The event took place on March 16th at Blind Lady Ale House, where we enjoyed some great beer for a great cause. BLAH generously donated 15% of proceeds from the event to EWB - San Diego Professional Chapter projects. EWB and NAAAP hosted a fundraising event at New English Brewing Company on December 1, 2016. The evening highlighted our India Program with a special presentation from one of our members. 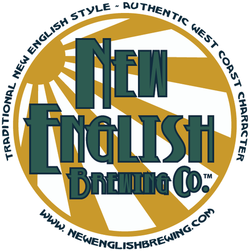 New English generously donate $1 to EWB for every beer sold! EWB joined forces with ASCE YMF for a social event at Splash Wine Lounge and Bistro in North Park on November 7, 2016. 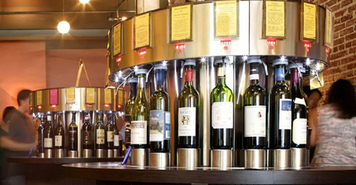 10% of all proceeds benefited EWB!